Sailing on St. Margaret’s Bay is not for the faint of heart. Almost three hundred athletes from around the world are learning that lesson this week at the 2009 Nautel Laser Masters World Championships. Under sunny skies, but shifty winds, it was mid-afternoon before the race committee could get the first race off. It meant for the second day in a row, athletes were on the water for more than six hours. 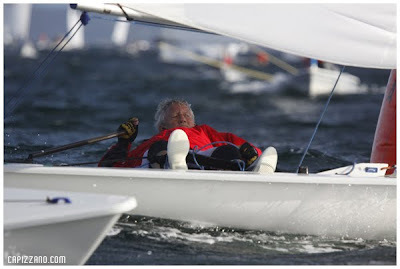 That’s a gruelling schedule for a Masters regatta where the youngest competitor is 35 and the oldest is 77 years old. In the Standard fleets, the Apprentice division (35 to 44 years old) was the only one to get in two races on Day Two. Adonis Bougiouris of Greece is in first place, Australian Brett Beyer is in second, with Orlando Gledhill of Great Britain in third, and Canadian Ray Davies in fourth. For the Masters (45 to 54 years old); Scott Ferguson of the United States is in first, hometown favourite Andy Roy is in second and Ari Barshi of the Dominican Republic is in third. Roy, from Ontario, spent his summers sailing the waters around Nova Scotia and is from a well-known Nova Scotia sailing family. 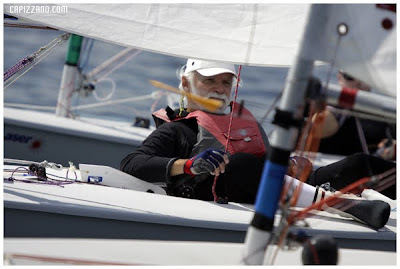 After three races, Wolfgang Gerz of Germany remains in the lead in the Grand Masters (55 to 64 years old), Australian Mark Bethwaite is in second and American Doug Peckover is in third. The Radial fleet (a smaller sail than the Standard rig) only got one race in on Day Two. The Apprentice division is dominated by the southern hemisphere with Grant Wilmott of Australia in first, Edmund Tam of New Zealand in second and Australian Richard Bott in third. For the Masters Radial, Carlos Eduardo Wanderley from Brazil is in first, and Australians Greg Adams and Venessa Dudley in second and third. 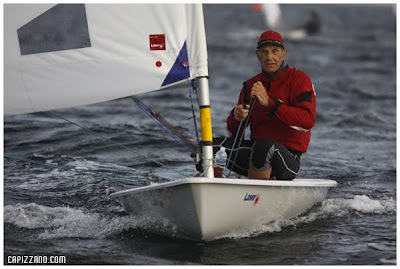 The top Canadian in the fleet is Nigel Heath in fifth. 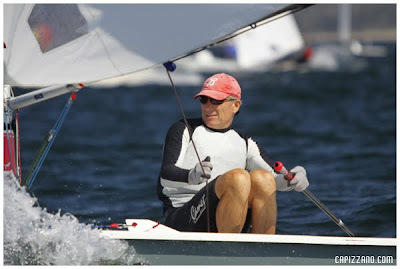 Australian Peter Heywood is atop the Grand Master Radial fleet, with Alden Shattuck of the USA in second and New Zealander Bruce Jones in third. 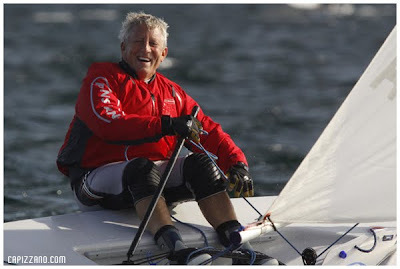 In the Great Grand Master fleet, Michael Kinnear of Great Britain is in first, Australian Kerry Waraker in second and Sandy Grigg of New Zealand in third.